Located nearby Saigon River, attaching with 14 heacta green Park and the great central square with riverside walkway, cultural and sport area with approximate 14 hectares of space, Vinhomes Central Park is done in a scientific way to show all the beauty of the natural landscape. The view of apartments always show a natural space; elegance and peaceful. 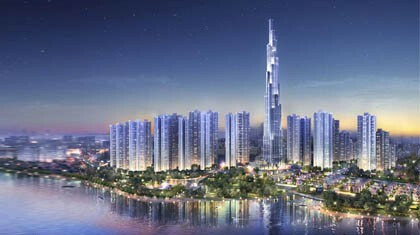 In Vinhomes Central Park, you can enjoy healthy and relaxing life inside complex in daily days. Letting you have a pleasant start to the day and end it in a calm atmosphere. A professional and helpful management team is ready to help all residents and provide good services during their stay in the apartments in Vinhomes. Be one of first tenants to enjoy this amazing place!!!! 18 blocks – 38 stories residential buildings housing 10.000 high-class apartments (01 - 04 bedroom), fully finished & serviced.